historical event: The attack shocked the Islamic world. The leader of the campaign was the Muslim activist Juhayman al-Otaybi. He declared his brother-in-law Mohammed Abdullah al-Qahtani an Islamic Mahdi (savior, redeemer). On this day one of the most unusual hostage crisis in history took place. Namely, Muslim dissidents seized the holiest place of Islam – the famous Sacred Mosque in Mecca – and captured the pilgrims therein as hostages. The Sacred Mosque (Arabic: Al-Masjid Al-Ḥarām) is the largest Muslim shrine. 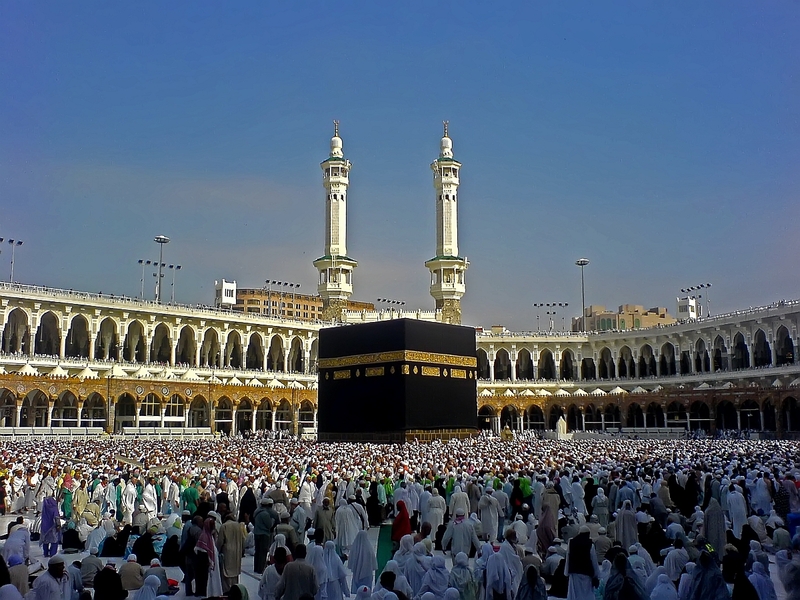 All Muslims are obliged to make a pilgrimage there at least once in their lifetime, if they are able to do so. In the courtyard of the mosque stands the famous Kaaba, which the Muslims face while performing their prayers no matter where they are in the world. The leader of the attack was Muslim activist Juhayman al-Otaybi. He declared his brother in law Mohammed Abdullah al-Qahtani an Islamic Mahdi (savior, redeemer). It is estimated that the rebels numbered 400 to 500 people. They took about 6,000 pilgrims and other people present in the mosque as hostages. The attack shocked the Islamic world. The hostage crisis lasted for about two weeks. Saudi police received the approval of the religious authorities to forcibly occupy the mosque (no violence, not even pulling of plants out of the ground, is allowed inside the mosque). After the military action, the number of dead and wounded was high. A total of 244 men (127 Saudi troops and 117 rebels) were killed. Approximately 451 members of the Saudi armed forces were wounded. The reprisal against the surviving rebels was ruthless – as many as 68 of them were executed.